We always love to read about the latest awards won by the campsites and glamping sites we recommend on the Cool Camping website. From regional gold stars to international recognition, it's always great to see the small, independently run campsites recognised for their hard work and passion. With that in mind, Pembrokeshire's Top Of The Woods Campsite has certainly come away with a high claim to fame this year, ending 2017 on a high by winning the Green Key Award for sustainable tourism for the second year running at the 2017 Tidy Wales Awards. 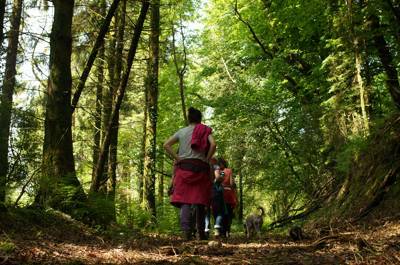 A boutique camping and glamping site in Boncath, North Pembrokeshire, the award recognises Top Of The Woods as one of Wales’ very best eco-tourism accommodation providers. 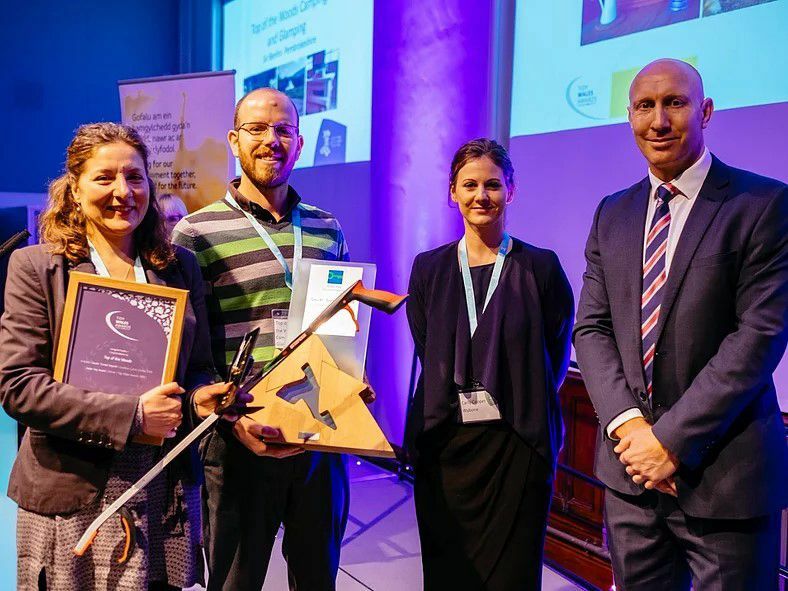 Building on their previous successes (winning the 2016 Green Key Award and the 2016 Pembrokeshire Tourism Awards for sustainable tourism), this year’s award yet again reflects the incredible efforts Top Of The Woods make to achieve truly sustainable tourism. Owners Soo and Jon tell us that a range of approaches are used to ensure they stick to their values of “sustainable, enriching and unique” tourism. "Our habitat enrichment and creation efforts include planting new woodland and wildflower meadow and minimising the impact of human activities", Soo tells us, shortly after winning the award, "but true sustainability is a complex and broad picture" with their approach encompassing a range of different methods – they don't just focus on the environment and ecology but on enriching the local community and economy too. As 2018 fast approaches, Top of the Woods are already looking ahead to next year and ensuring the campsite is as sustainable as ever for future campers and glamping guests. Their Green Key Award for 2017 will also, no doubt, be hanging smartly alongside their previous awards collection.